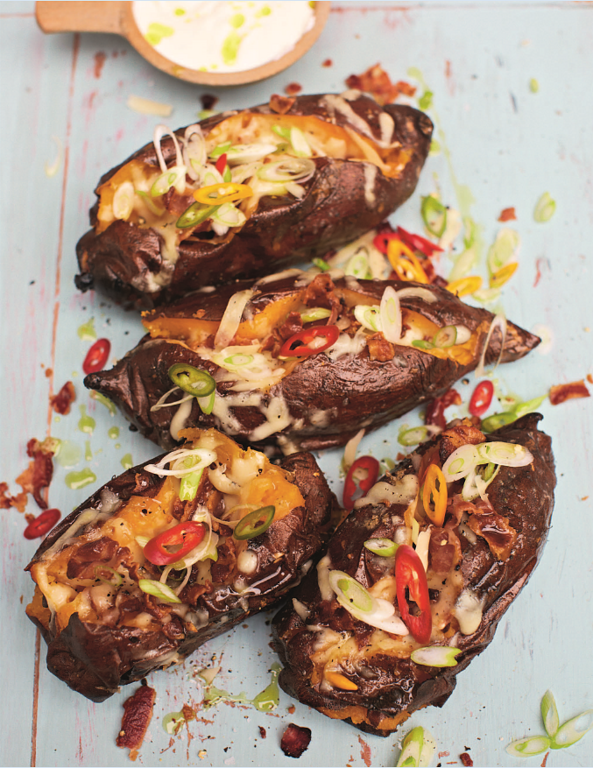 A great veggie option for a summer barbecue, these silky sweet potatoes stuffed with chilli and cheese are a flavour explosion! 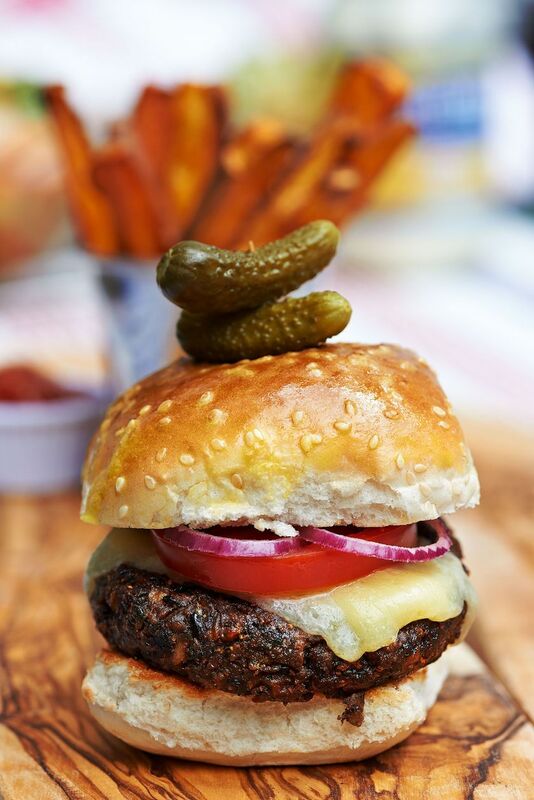 Packed with protein and fibre, these Black Bean Burgers from Mary McCartney are delicious sandwiched between a burger bun with all the toppings – sliced pickles, tomato, onion, lettuce, Thousand Island dressing (or mayo and ketchup) and mustard. Mary's advice is to never skimp on the toppings! 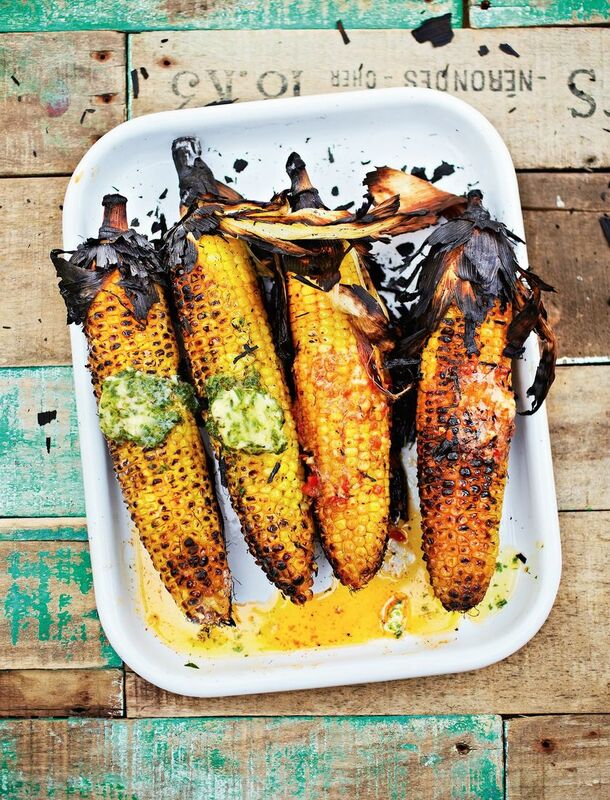 A barbie isn’t a barbie without sweet corn. 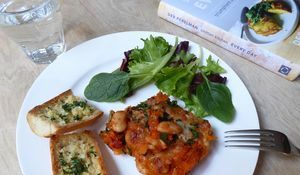 Here barbecue legend Levi Roots shows you how to cook it to perfect with lime and coriander, Parmesan and chilli butters. 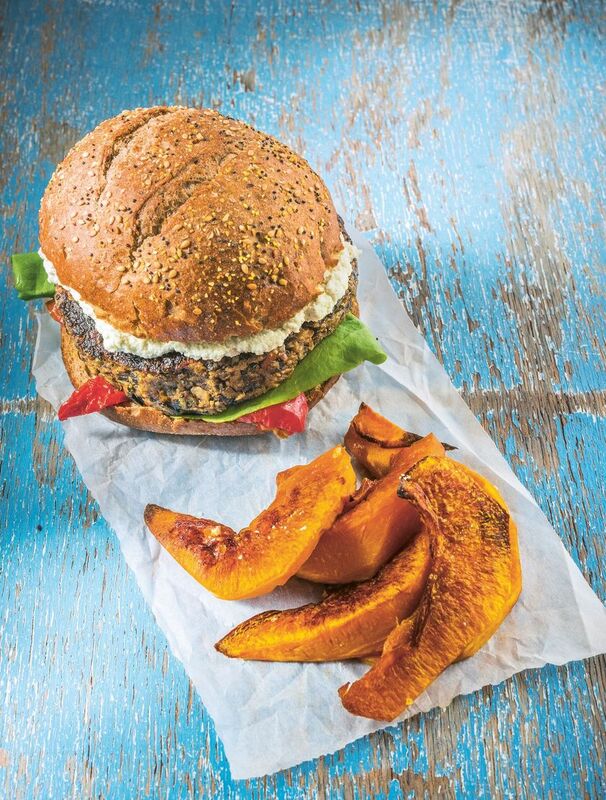 Here we have a vegan burger that is rich, with a deep flavour from the mushrooms, cumin and miso. It is packed with heavy umami flavours, with the seaweed, pecans and miso working their potent charms. Yum! 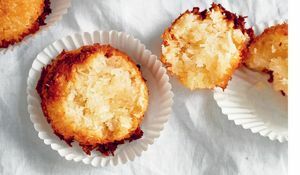 No great barbecue would be complete without a knockout BBQ dessert. 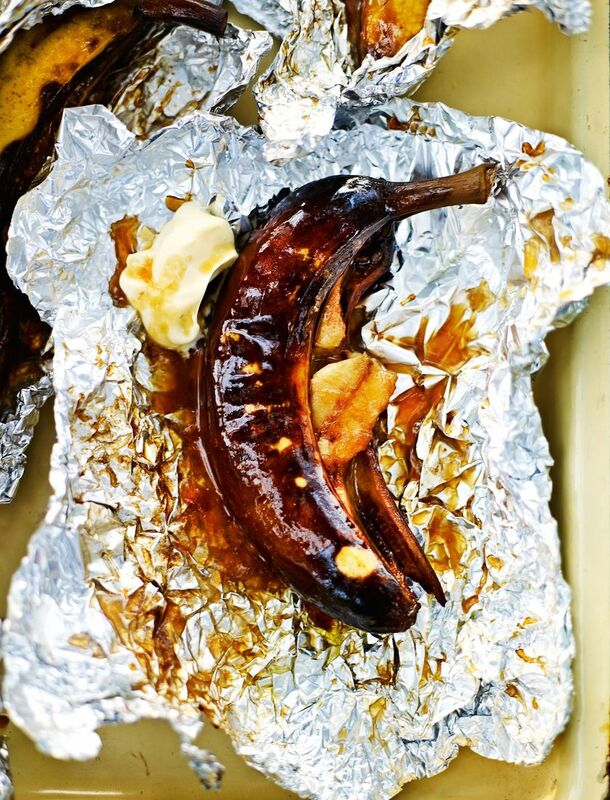 These Roasted Treacle Toffee Bananas have a lovely, gooey, sweet, brown-sugary centre and are perfect served with some cream or ice cream. 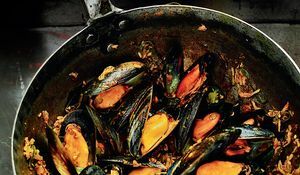 Learn how to clean and prepare mussels correctly in this indispensable new video guide from Rick Stein, Britain's best-loved seafood expert.